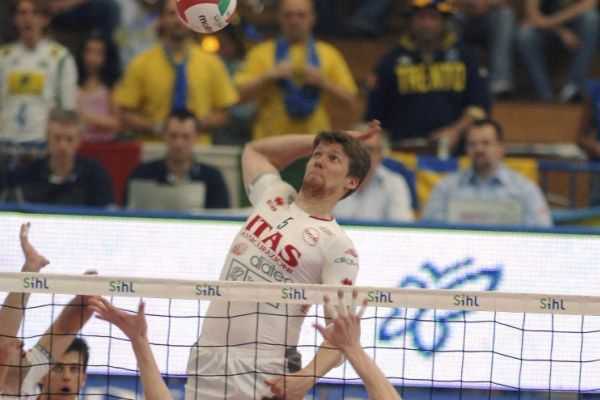 Report of the match. 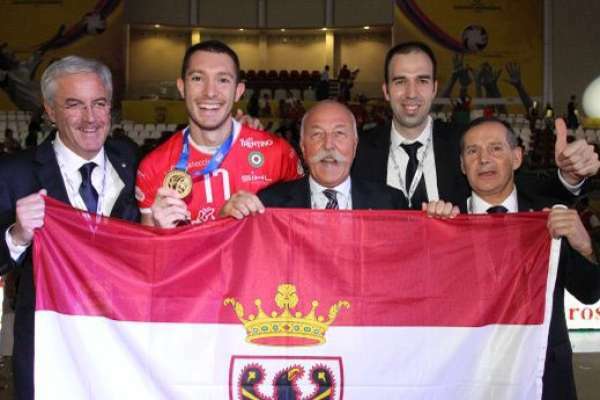 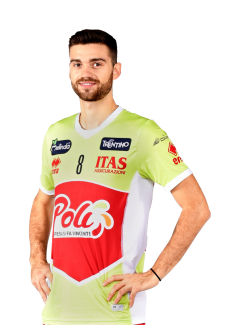 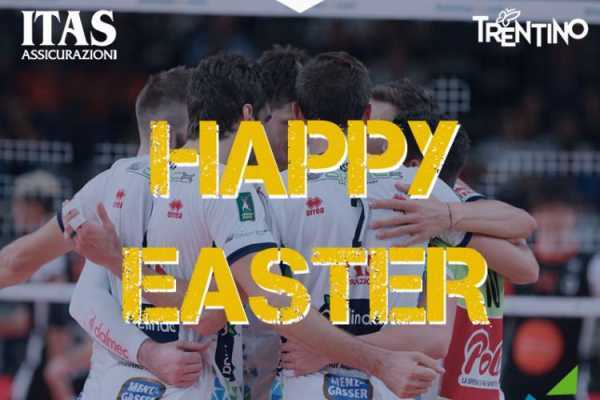 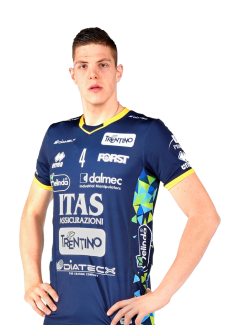 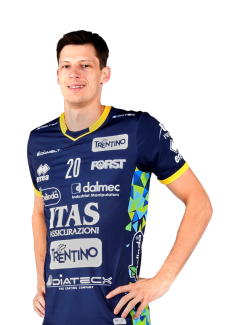 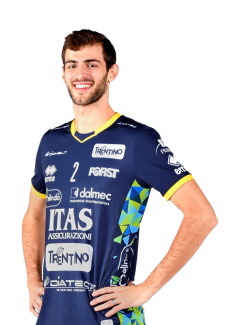 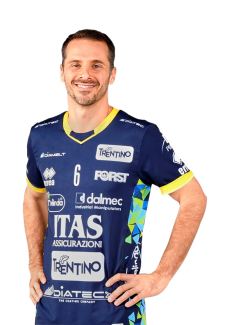 Trentino Itas comes in front of its public without Lisinac, who won’t even start from the bench, for the last home European match of the season; the starting six sees Giannelli as setter, Vettori in the opposite role, Kovacevic and Russell as spikers, Codarin and Candellaro as middle-blockers and Grebennikov in the libero role; Galatasaray fields Keskin as setter, Venno in the opposite role, Antonov and Aydin as spikers, Ulu and Gok as middle-blockers and Cakir in the libero role. 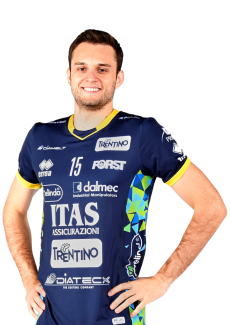 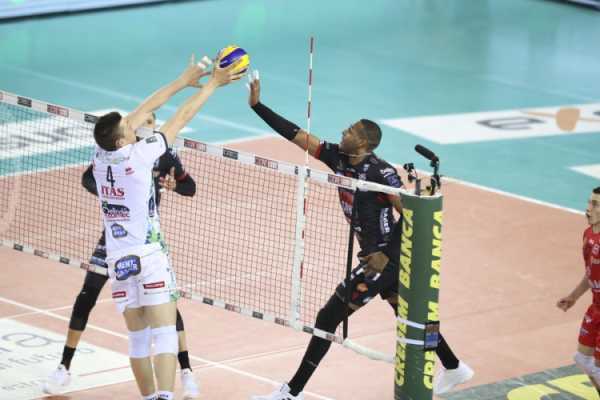 The start of the match is in favour of the hosting team which fights until 4-4 before distancing itself with Giannelli at service (two aces until 10-5). 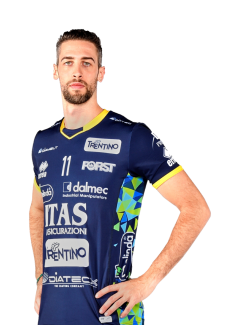 The Turks have already ran out of the time-outs at their disposal on 12-5 (another break with block of Candellaro) but Trentino Itas doesn’t slow its pace and overtakes its opponents of a lap with a very inspired setter (16-8) getting fast towards 1-0 (20-11, 22-12) without any trouble: 25-15 with Codarin scoring at the third set ball. 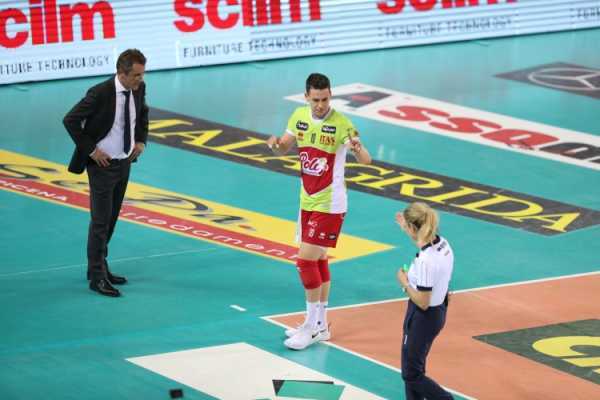 The match doesn’t change in the second set with Galatasaray immediately in troubles in side-out phase due to an imprecise reception and to the home attack which is on fire (6-3). 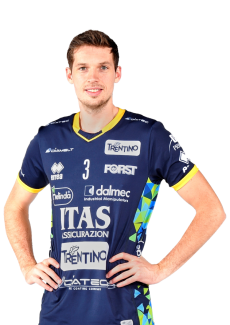 The team from Istanbul tries to hit back (11-9, 13-11), thanks to Venno’s spikes but Trento has more quality on the long run and increases the gap with Russell and Vettori (17-12 and 19-14). 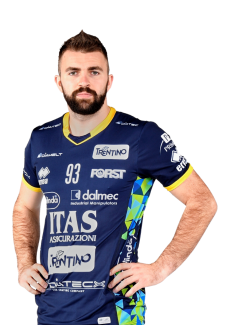 The final part of the match is again dominated by yellow-blues who manage to keep the situation under their control (22-15); the hosts gets very nervous making a lot of mistakes and 2-0 comes on 25-15. 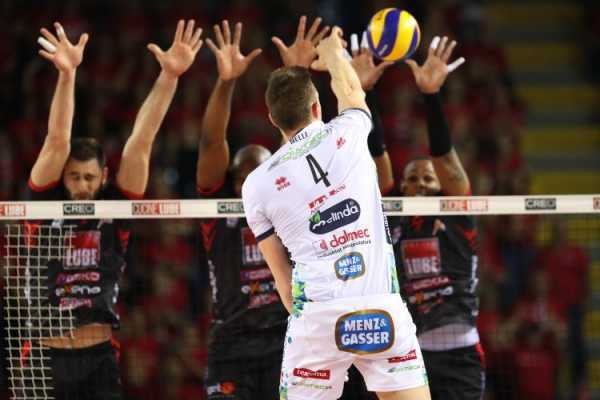 The third set starts like the other previous ones. 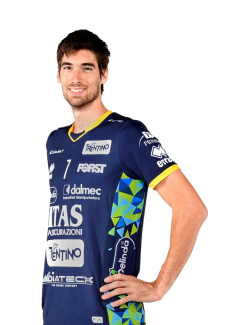 Vettori shows his qualities at service (from 8-6 to 11-6) versus a second red-yellow line which struggles a lot. 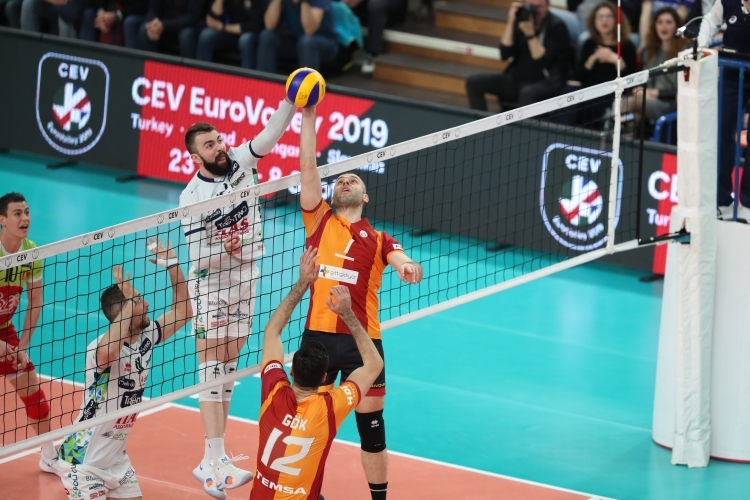 Galatasaray scores less and less and only with Venno but it isn’t enough (14-9, 17-11); the many changes made by Ozebey can only extend the match for a bit longer. 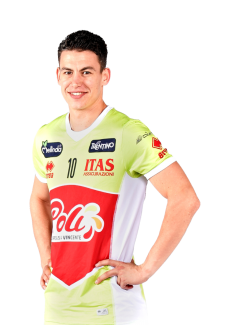 The end of the match comes 25-20 at BLM Group Arena with the young Simoni on the field as well.